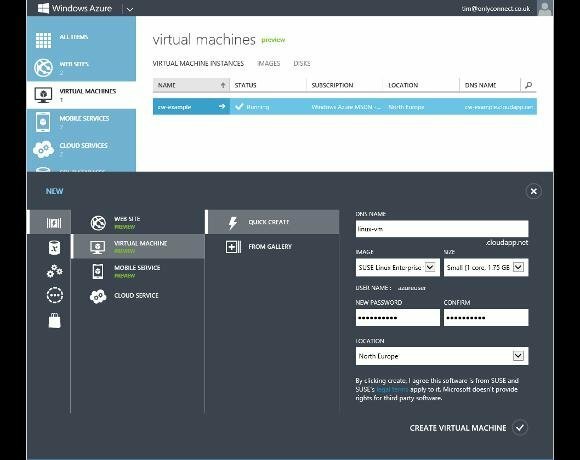 The radical changes Microsoft made to Azure in summer 2012 have changed it from a cloud platform which was solid but somewhat awkward to use into a resource worth consideration for almost any business using Microsoft’s platform, from occasional use by developers testing or prototyping a new application, to full network integration and use as an additional on-demand datacentre. The new management portal makes it easy to get started. Even Linux VMs are supported, with Ubuntu, Suse and CentOS systems on offer in the Quick Create gallery.